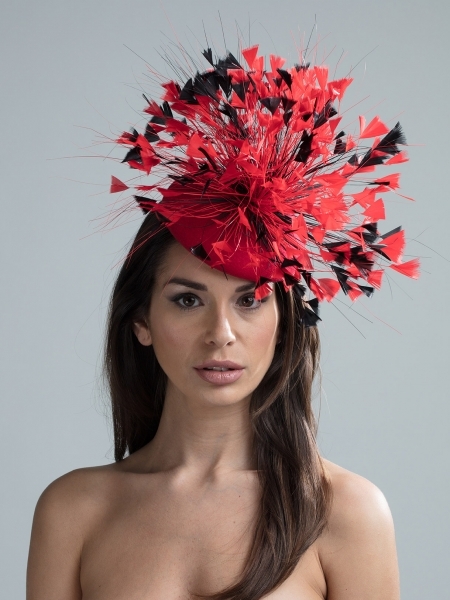 Whether you are attending a winter wedding, race meeting, point to point or just want a stylish hat to keep the chill off on a dog walk or the school run, our Autumn / Winter 2018 hat range features gorgeous felt bases in fabulous brights and beautiful neutrals adorned with a selection of feathers, flowers, bows and beading. As with all our collections our hats are fully customisable, so you can choose the hat base and trim colours to suit your outfit perfectly. If you would like some assistance we are more than happy to help you to colour match your outfit to your hat. All you have to do is to tick the ‘request a colour consultation’ box as you check out and we will be in touch. If you have any questions then please don’t hesitate to contact us on info@hostiehats.co.uk.